Our suite of applications helps you manage the entire fixed assets lifecycle from cradle to grave. Abandon your error-prone spreadsheets, dilapidated home-grown system or horrible federal tax depreciation and reporting solution, and get some fixed asset software! 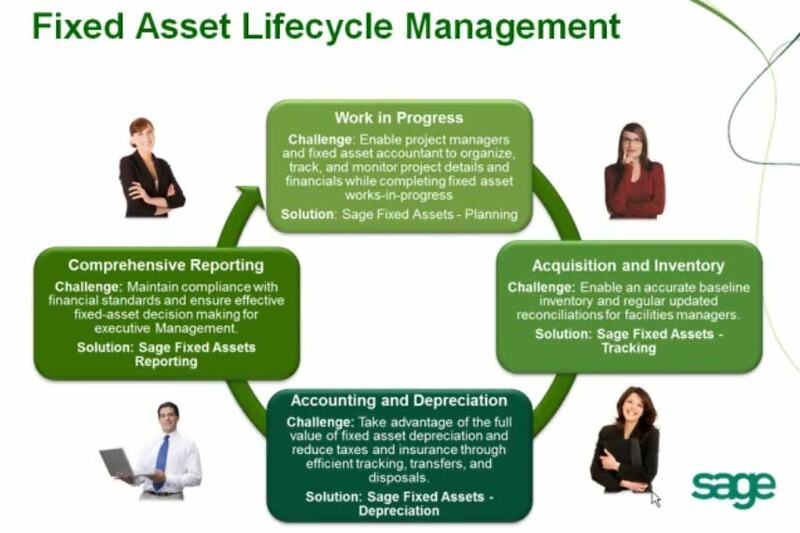 Sage Fixed Assets has been around for almost 30 years with more than 300,000+ customers worldwide. Yes, the Sage Fixed Assets Solutions (formerly know as Sage FAS) is the popular kid on the block – providing full circle fixed asset management that others just can’t beat. The solution is made up of four applications that work seamlessly together! See how Paragon teamed up with Del Papa Distributing Company’s finance and operations department to implement Sage Fixed Assets Depreciation and Tracking. We helped them enhance their company’s fixed asset management by using bar code technology integrated with their accounting software. From fixed asset data analysis, software implementation, and data conversion, to training, inventory services, and inventory valuation, Paragon provides its clients with turnkey fixed asset management solutions.